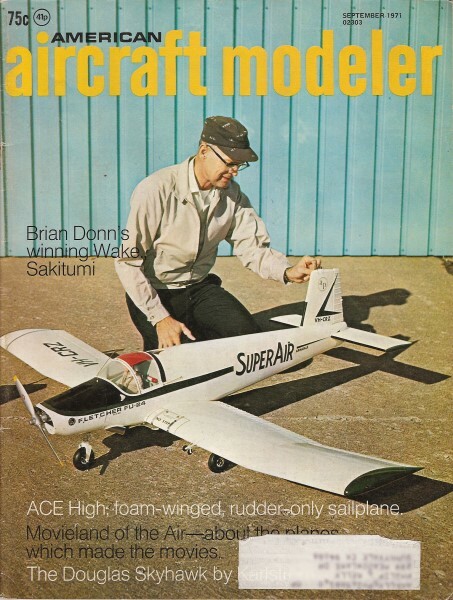 Airplanes and Rockets visitor Shun kwei L., from Taiwan, wrote to request the plans and article for The Drifter, a hand-launched glider that appeared in the September 1971 edition of American Aircraft Modeler. 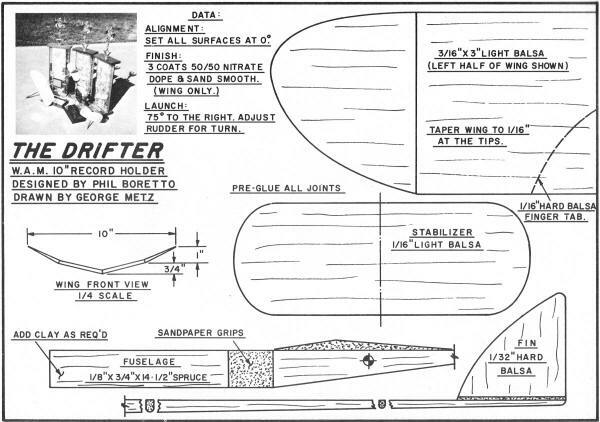 There was no accompanying article, but here are the scanned plans. 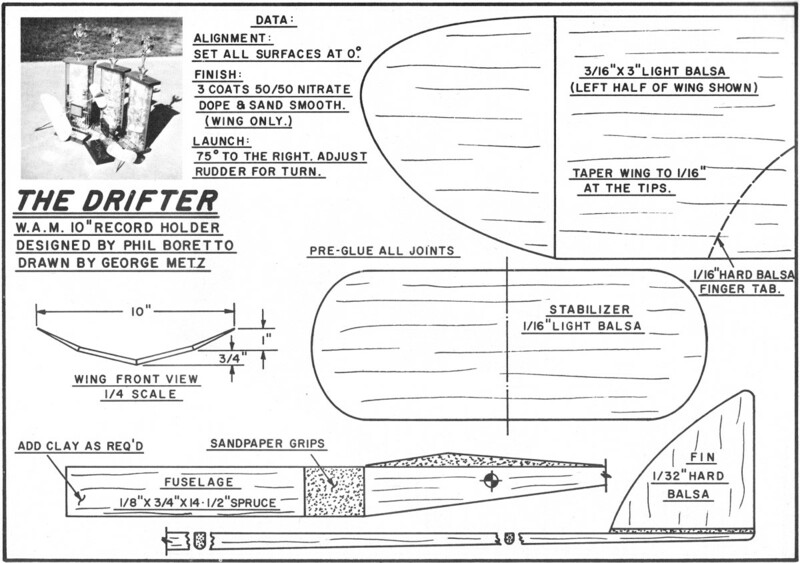 The Drifter was designed by Phil Boretto, and plans were drawn by George Metz.